Monaberry's label boss, good old Herb, is back in business. The House multi-talent curates the latest Mona compilation – Herberts Best #8. Famous Monaberry artists and new faces from all over the world follow his call and deliver exquisite productions to grandpa Herbert. Tim Engelhardt's contribution "Skin" is a deep hitting symphony of a cineastic atmosphere, rolling drums, crystal clear luminescent synths and captivating arpeggios. Mi.li.an's vocals enchantingly highlight the track's vibrant beat and the analog drive finally flows into bubbly extasy. 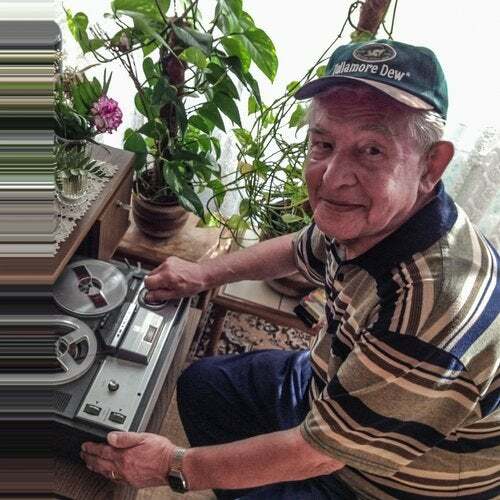 Just right after the release of his latest track on Monaberry Sobek pleases grandpa Herbert with "Camerlengo" – a gently evolving and hypnotically dragging track with some smacking groove that wraps around the floating framework and tickles your senses all at once. Armonica, the charismatic duo from the dephts of Italy, put a mad peaktime track on the table. "Time" is just bursting with slightly dark synths and FXs. The energizing bass line and the vocals reduced to the essentials are literally pushing this track onto the global stage. Another track is delivered by Sonic Future from Porto Alegre, Brazil. His artwork "Pontilismo" is full of vigorous rhythm, crisp synth variations and minimal 80ies flair that will knock your socks off. Especially the filter modulated chords carry you away to Alpha Centauri and fuse together with the beat into an embracing sound. Luis Junior brings "Go Gech" into play, a rotating Detroit UFO made of technoid ruthlessness and deep groove. He successfully blends dramatic synth chords, vocal snippets, and striking FXs into a continuous storyboard with a break that will make your endorphins dance and pleases with a lovingly staged happy end. Italian stallion Ivan Masa uses Afro House elements and sprinkles some melodic parts and softly playful groove to build the sound frame of "Nativity". Dense spaces and percussions merge into an ethno inspired work of art that will flow straight into your body and soul. Ikarius & Dhakka join with "Salvation", a hypnotic production that catapults the audience into a next dimension with opulent synth chords and effects, crunchy claps and subtle toms. The track composition is indeed psychedelic and a powerful tool. Ultimately, a compilation like this can only be brought into being by good old Herb himself. We bow to his wisdom and cannot wait for these seven gorgeous pieces.